For the past few years in China sourcing industry, there’s one type of question that I was asked by hundreds people. What is the best product to import from China? What is the most profitable products to import from China? Not only new importers, but also people who has years of importing experience will ask the same question. I have to say this question is too big to answer, because different people have absolutely different answer, according to their work or life experience. So I can’t give you a list of profitable items to import from China, and say “Hey, just purchase these times, and you will make tens thousands dollars easily”. Instead of directly telling you what products to import, I share you some of my ideas about good products to import in 2019. By analyzing these products together with me, you will probably find your best product answer. In this article, I’ve given 25 product ideas this moment, but will keep updating more new products into this list every month. Don’t forget to save it to the bookmark of your browser. You can click any of these 4 titles, and you will be navigated to related content. Low-cost products indicate a very high-profit margin, which means if you are just starting out a new business then you will not require a very huge investment to purchase the products. Consequently, lower investment will mean lower risk as well. Therefore, many merchants will choose cheap products to import from China. China is amongst the top manufacturers and exporters of pens worldwide. From fountain pens to brushes to gift pens, you will discover an overwhelming variety of pens in China. The fountain pens, in general, have a high demand everywhere. Similarly, gift pens are particularly popular for brand promotion and marketing as they can be easily customized with the company logo and message. The gift pens are a cost-effective means for advertisement and hence are quite popular amongst the business community. The gift pens which can meet the customization requirements of importers are made of metal or plastic. Plastic gift pens are priced at $0.03-$0.1, whereas the metal gift pens are available at $0.15-$1.5. So, even if you have a purchase budget of $1000, you can still purchase promotional pens from China. 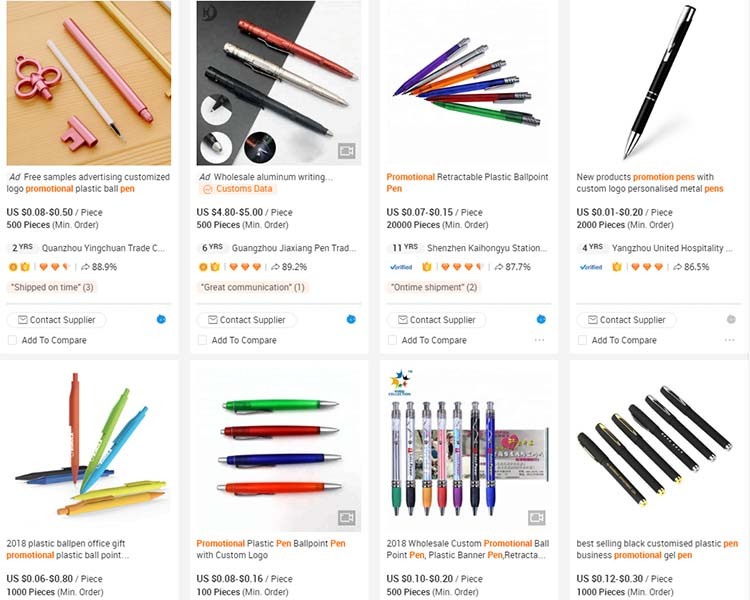 Besides the availability of a wide variety of pens at incredibly low costs, the fact that importing pens from China does not require any certificates and documentation is another reason to import pens from China. 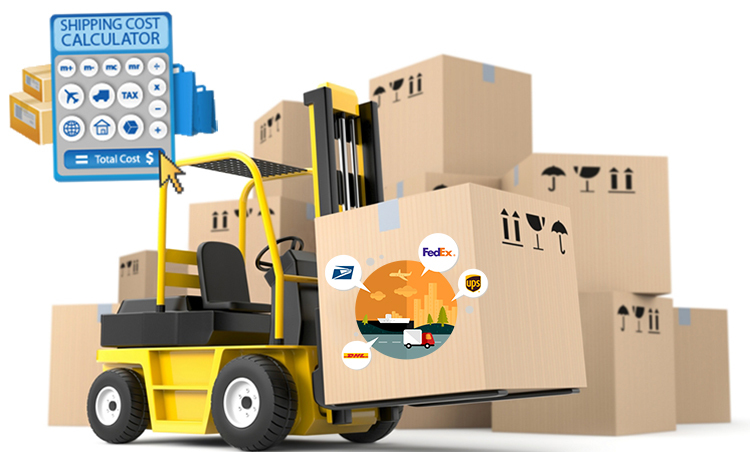 You can directly transport your order to your country by express delivery without paying any customs duties. If you want to find Chinese pen suppliers, I suggest you go directly to the pen market in Yiwu to find a reliable supplier. 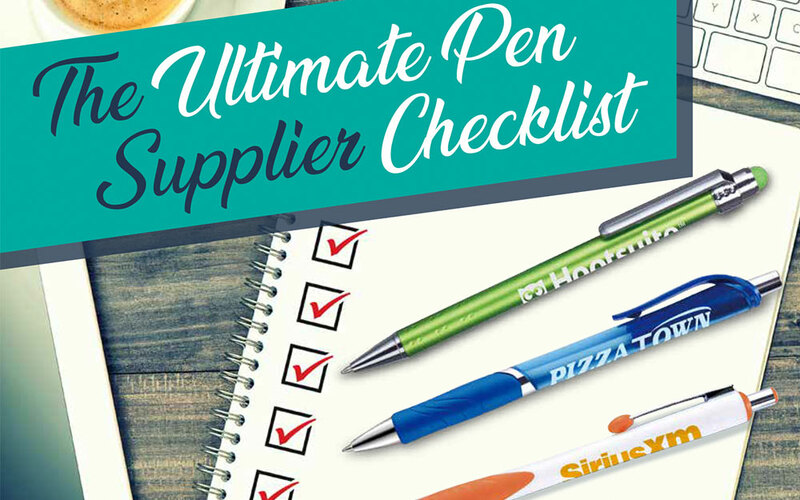 A plethora of pen suppliers gather at the Yiwu market and hence you can easily fulfil your purchasing needs. Plus, directly visiting the pen market will save you a lot of time and money instead of visiting a local pen factory. If you are interested in importing pen from China, there is an article to Wholesale Pens From China for reference. Lastly, people usually prefer buying pens from a physical store rather than ordering them online. Therefore, if you are going to engage in e-commerce, then pens may not be a very suitable product idea. T-shirt is very cheap product to import from China. If you do not have high requirements on style and quality, you can even purchase them from some overstock markets in China. Many t-shirt of overstock market are calculated by weighing. You can also purchase custom t-shirts in China at a wholesale price of $1.45- $3.7. 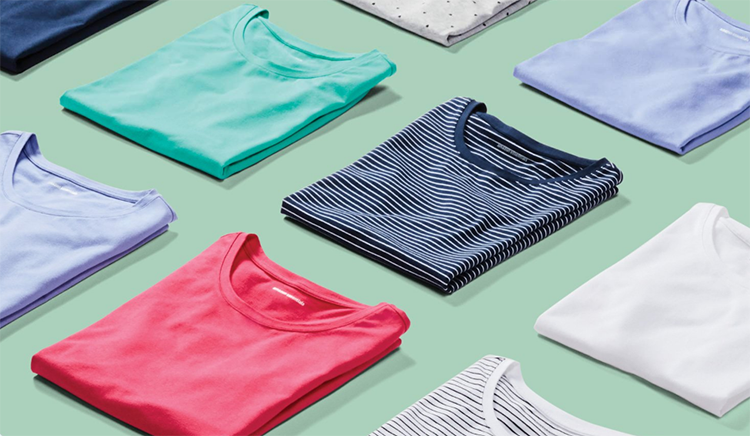 The cheaper t-shirts that cost around $1.45 are lower in quality and can be worn only a couple of times. While the t-shirts that cost approximately $3 are much better in quality and made from comfortable to wear fabric. If you want to get your logo printed on the t-shirt, it will cost an extra $0.2-$0.5 per piece. In case you are only purchasing 50-100 t-shirts with custom logo, the suppliers usually don’t charge a customs fee but will receive a printed minimum charge of $50-$100. The costs may vary according to the suppliers. A sunglasses is a must-have piece of accessory in every country around the world. 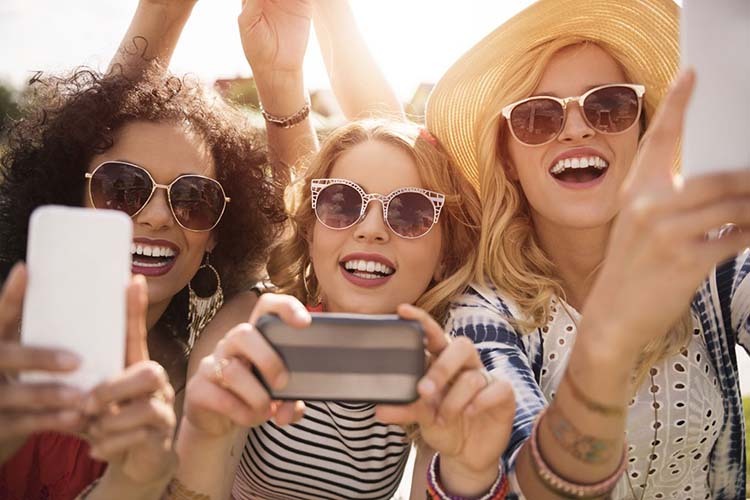 With the pursuit of fashion elements, people nowadays use sunglasses as a fashion accessory rather than a pair of functional glasses. Daily goods that have a stylish element will always be in high demand and will generate a good sale. If you can judge the trend in time, you will definitely be able to make huge profits. So, keep sunglasses in your list of options as one of the best product to import from China in 2019. On the us-based Amazon, a typical plastic frame sunglasses costs around $9, and ordinary metal frame glasses cost about $14. If the sunglasses style is in vogue, then the price may also reach up to $20. Want to know how much these sunglasses will cost you if purchase from China? You’ll be surprised to know that the price of Chinese sunglasses ranges from $1 to $3. Such low wholesale prices can help you generate huge profits. However, importing sunglasses from China requires specific certifications and regulatory compliance. For example, importing to the United States requires an FDA certificate and a ball drop test, while Europe requires EN ISO 12312-1 certification. About sunglasses certification and how to import sunglasses from China, I have a specific information in another article. If you are interested, you can see this article: Wholesale sunglasses from China for reference. Mobile phone accessories are also quite cheap products to import from China. The accessories include protector glass, mobile phone case, car phone holder and so on. These are small objects with massive demand in the market. Also, when considering selling mobile phone accessories, you don’t have to worry about product update as well, except for the protection cover, which has to be restocked according to the new mobile launches. So, in case you are starting with limited procurement costs and also lack experience, mobile phone accessories will be a safe choice. The price of phone protector glass is about $0.13-$1. The protector glass for different mobile phones falls in the same price range, mainly because the quality of glass remains constant. 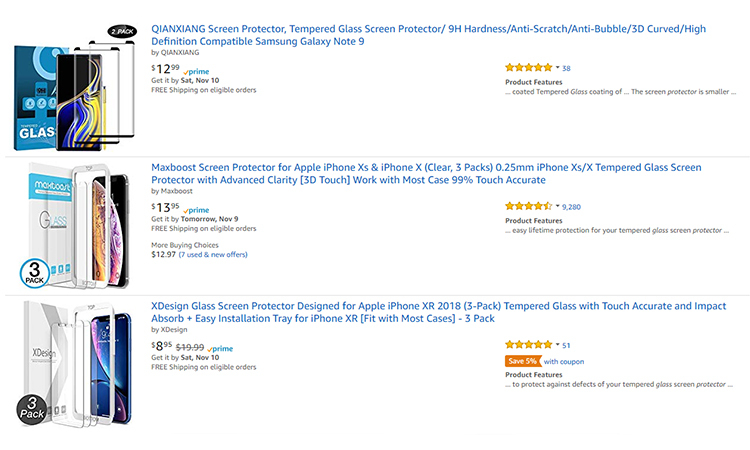 However, irrespective of the price of the protector glass, you can make significant profits by selling them on Amazon. 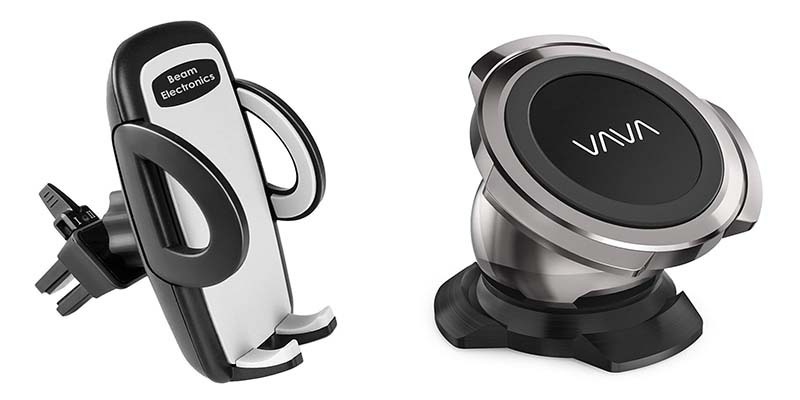 Phone holder for the car is something that drivers are very fond of. It’s a practical product, but it’s buyers are much lesser as compared to the buyers of phone protector glass and cell phone case. Not everyone has a car, but everyone has a cell phone. The wholesale price of the phone holder is between $0.6-$2. If you purchasing mobile phone accessories from China, I suggest you look for suppliers directly online. There are several Chinese suppliers on websites like Alibaba, Aliexpress, and Dhgate, so you can easily discover the best supplier after a bit of research and purchase products. It’s important to note that Aliexpress and Dhgate’s MOQ are relatively small. Suppliers are willing to take up a small order of 100 pcs as well. However, if you are purchasing from Alibaba, the MOQ is relatively large and usually more than 1000 pcs per order. Socks are daily used consumer product and hence have a significant market share in the retail sector. Owing to the improving fashion trends, the demand for socks in the market is growing. Besides having a good market demand, the sock is a product with a significant profit margin as well. In the United States, the price of the most common cotton socks on Amazon is about $3 per pair, whereas, in China, the cost of ordinary cotton socks is about $0.2/pair. The price difference is more than ten times, which means importing socks from China can be an extremely profitable business. In addition to cotton socks, there are many other categories of socks like silk stockings, wool socks, yoga socks and so on. If you think there are too many sellers of cotton socks in the market, you can consider selling other types of socks. Silk stockings are consumables, very easy to break, and the demand is also very large. The wholesale price of silk stockings is between $0.37 to $1.47. For socks, I suggest that you either choose the cheapest sock without paying much attention to the quality or go with higher quality socks, customized and designed for your brand. Most of China’s socks suppliers and factories are in Yiwu, Zhuji, and Guangzhou. Yiwu and Zhuji are very close, and often socks sold in in the Yiwu market also come from Zhuji. 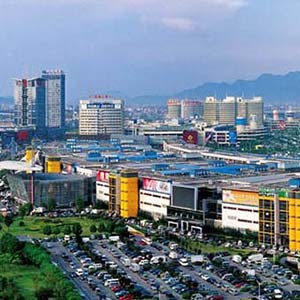 I suggest you go to the Yiwu market first, and if you can’t find the socks you want in the Yiwu market, you can go to Zhuji, where you’ll find several manufacturers as well. Many people who lack the experience of importing diapers from China have thought about importing baby diapers. Considering the enormous market demand for baby diapers, many business owners plan on importing from China to get cheaper prices. However, it’s important to note that just like market demand, competition for baby diapers is also incredibly intense. Furthermore, in addition to China, several other countries are also producing baby diapers. I suggest you consider selling pet diapers since the competition is not so intense, and pet diapers from all over the world are mainly imported from China. Chinese pet diapers are available at great price advantages, and distributors in many countries like to import pet supplies from China or find factories in China. The disposable pet diaper price is about $0.12/PC, while the price of disposable pet pad is about $0.05 /PC. If you are purchasing directly from the factory, then their MOQ is 10,000 pieces, about 1000 bags (10/pack). 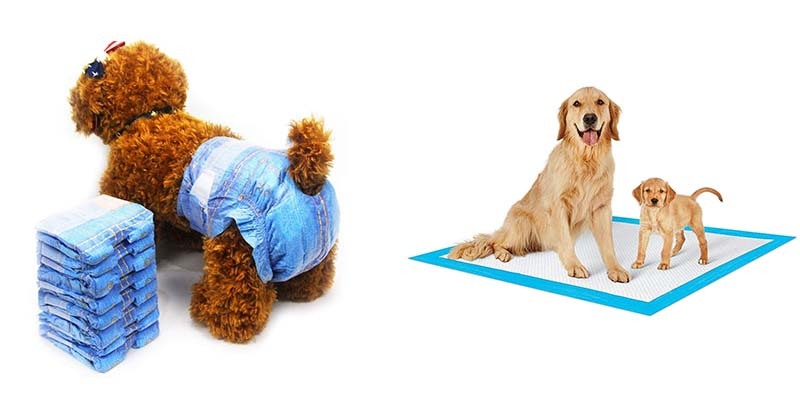 The pet diapers and pet pads are light in weight and small in size. So the shipping cost is also very cheap. Pet clothing is also a profitable product to import from china in pet supplies category. For people, pet clothing is a fast-moving consumer good, so they won’t choose expensive pet clothes and will rather buy them often. Therefore, China’s cheap pet clothing easily caters to the needs of pet owners. 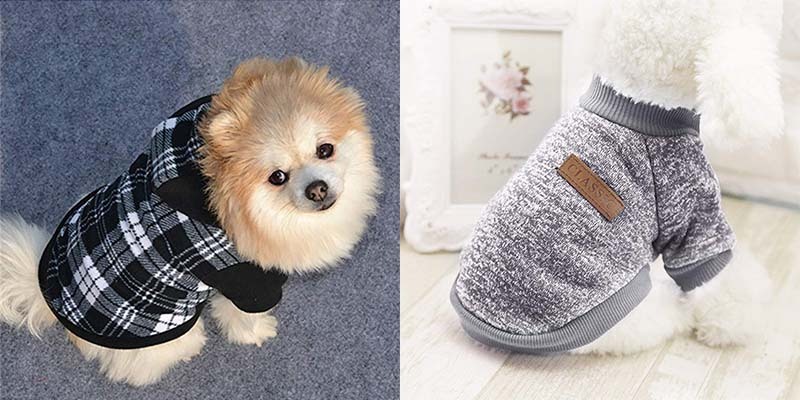 Chinese pet clothes are about $1-$3, and the pet clothes sold on us-based Amazon are about $10, so the profit margin is also quite good. 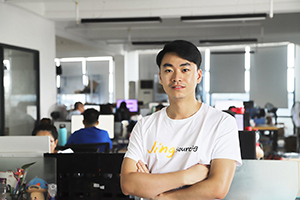 The MOQ on Alibaba is around 300 pcs, whereas the MOQ on Dhgate and Aliexpress will be lower, and some suppliers are also willing to take orders as small as a few dozens as well. You can choose the most suitable website for purchase according to your needs. We frequently get many enquiries regarding the wholesale price of building block toys like Legos. Such toys sell at a high price. Naturally, distributors consider purchasing from China to get a lower price and have more profit margins. There are indeed many factories in China that produce building blocks toys like LEGO, and the prices are also very low. In addition to the ordinary building blocks toys, toys such as jigsaw puzzles and robot assembly are also available at low cost, which gives importers a lot of choices. But when you choose to sell this product in your country, be aware of the regulations regarding copyright. Some countries pay great attention to copyright, like the United States and Europe. Consequently, selling building block toys like LEGO may lead to copyright infringement and you may get in a lot of trouble. 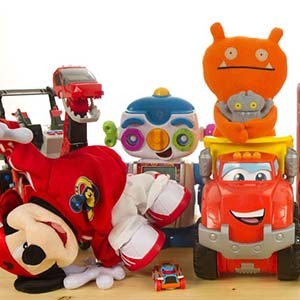 If you are interested in importing toys from China, you might want to read this article first: How to import toys from China. False eyelashes are also a particularly cheap product to import from China but sold at a high price on us-based Amazon. There are many grades of false eyelashes, and the price of different grades vary significantly. 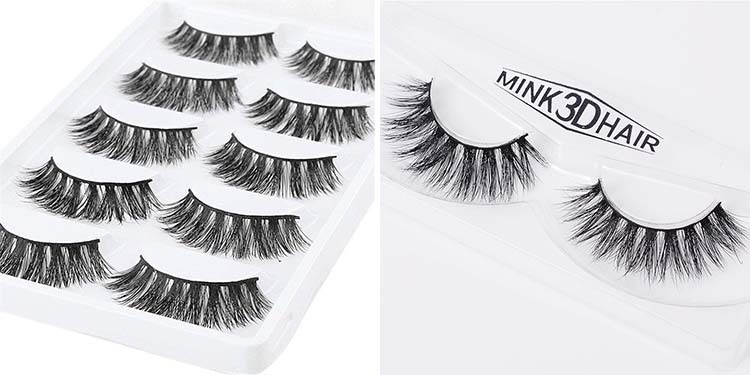 Usually, the wholesale price of false eyelashes ranges from $0.22 – $0.44 per pair for fibre-made falsies to $1 for each pair for the false eyelashes made of mink hair or having a magnet. The same fibre-made false eyelashes are priced at $2/pair on us-based Amazon, and the price difference is nearly seven times. Low cost is not the only advantage of importing false eyelashes. This product is extremely lightweight, and hence you can easily ship your order by express, without having to pay customs duties. Interested in any cheap products above? Or looking for other things from China? Click the button, an professional China sourcing agent will contact you, and get you the best quotation from manufacturers. It’s free service! Nowadays many people like to go to beaches and seaside for the holidays. And, what we need for our beach day is a pair of comfortable slippers. You can’t go in the water with your shoes on, but if you leave the shoes on the shore, there’s a chance you’ve just lost your favourite pair of shoes. Your feet are easy to burn and cut if you roam bare feet on the sand. But, with beach foot pad you’re safe to enjoy the beach days. Beach foot pads are made up of a special material that is as comfortable as bare feet after being attached. The pads are also scratch resistant, waterproof, heat resistant and slip resistant, which makes it a perfect choice for people who enjoy water sports. Moreover, these foot pads are easy to wear. You need to tear off the adhesive film of the pad, stick it to your foot and you’re done. If you think not many people around you know about this amazing product, this might be your chance of expanding your business. In China, the wholesale price of this beach foot pad is $0.45, and the us-based Amazon price is $3. If you want a novelty and cheap product, the cheap beach foot pad is the best product to import from China. 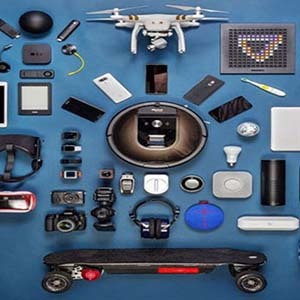 A smart backpack has recently become quite popular. 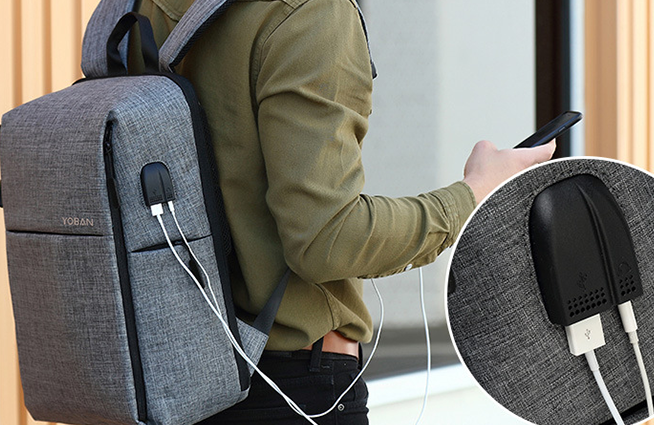 This bag is equipped with a USB interface or a battery. The bag is waterproof and has anti-theft features. Also, the bag has more storage than regular backpacks. This multi-functional bag has become a trend, and it also makes the travel more convenient. These backpacks can be sold at a higher price than regular backpacks. The price of these backpacks in China is $6 and $13 that lets seller earn a lot of profit. However, for shipping the smart backpack with battery, it is recommended to choose sea freight. Because it will encounter lots of troubles by air due to its battery. Of course, if you want to save time or don’t want sea freight. I can tell you that some Chinese freight forwarders can help you transport your goods to your country by some special ways. The inflatable lounge was quite in trend but can no longer be used as a recommended product. But, how do these products become popular and how can we find about these on time? In the beginning, some videos were circulated across the internet. After which, there were a lot of good ratings, and most of the stars started using this inflatable lounge. They also uploaded photos and video on the internet. As the influence of actors is high, people started to think this inflatable lounge is interesting and easy-to-use. This is the reason why people want to buy these types of things even if they may not use it. So, if you happen to sell this product, you will definitely make a huge profit. You should also pay close attention to social media and look for famous products. When you find such a product, find a Chinese supplier, have that product imported to your country immediately and seize the business opportunity. The reverse inverted umbrella is designed for getting on and off the bus in the rain and is quite popular among motorists. Unlike ordinary umbrellas, reverse inverted umbrellas are gathered upwards, and you can easily get in the car without getting wet. The wholesale price of this manual reverse inverted umbrella in China is about $3 while the automatic one costs $4.5. The purchase number of these umbrellas is generally more than 500 if you want a customized logo and style and factory production cycle is usually 10 days. However, if you don’t need a customized product, the MOQ (Minimal Order Quantities) will be around 300 pieces. When it comes to novelty products, children’s toys are always trending. Kids toys are always trending and have a massive market demand. 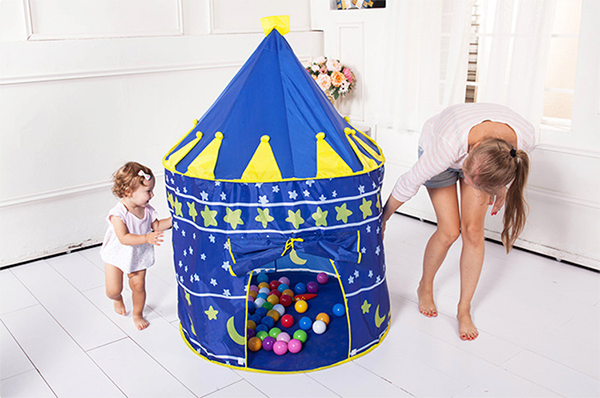 Kids are mostly interested in new and fascinating items like castle tent, which is equivalent to kid’s indoor play house. Castle tents are easy to assemble and can be folded up when not in use. The price of these tents is around $4. However, while purchasing the tent, you must carefully choose the style of it. If the color and pattern of the tent attract the children, their parents will buy the product at once. If the styles do not attract the kids, it can have a negative impact on your sales. So, you could design your own products to stand out in the market and enhance your competitiveness with other businesses. To purchasing a tent, you are advised to come to Yiwu market as this market has a lot of suppliers. You can directly ask the suppliers about the price, tell them your customization requirements and compare the prices between different suppliers. 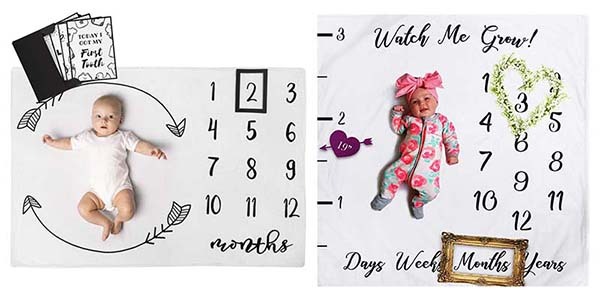 Milestone blanket is a baby photo prop that plays a big role in taking photos of babies. The wholesale price of this item in China is about $1 – $2.2 and the MOQ on Alibaba is at least 500 pieces. But, the MOQ on Dhgate and Aliexpress will be comparatively small. On US-based Amazon, there are fewer sellers of milestone blanket and the competition is not intense. It is a good choice for a newcomer in the market. Besides milestone blanket, there are many other products in this category that could earn you a good profit such as long ripple wraps, butterfly posing pillow, etc. If you are interested in this category, you can choose more than one product. As buyers often buy some related products and if you recommend other products with milestone blanket, there will definitely increase your sales. Interested in any novelty products above? Or looking for other things from China? Click the button, an professional China sourcing agent will contact you, and get you the best quotation from manufacturers. It’s free service! People often ignore conventional products when looking for products, and they struggle to find special novel products. Novelty products are at relatively high risk while the competition in regular products is relatively small. The sales of the regular product are somewhat stable and have a very large profit margin. One such item is a photo frame. It is a very good product in the home decoration category. 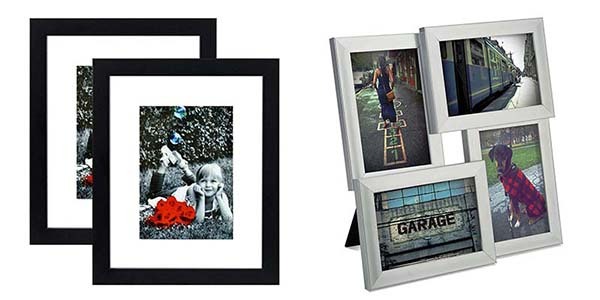 The price of photo frames of different sizes and materials varies greatly. It can range from $0.3 to $1.47. But, on us-based Amazon, the average price of a photo frame is about $10 and some more designer photo frames can be sold for $20. So, you should go for some exquisite frames that will avoid the price competition and increase the price of the sale. The suppliers of plastic photo frames are mainly concentrated in Yiwu and Zhejiang while the wooden ones are in Shandong. The acrylic photo frames are in Wenzhou. While looking for suppliers on the internet, don’t forget to see where the suppliers are from. There can be a little difference in the quality and price of the frames from different regions. You can even go directly to the Yiwu market to find photo frames suppliers. This market has a lot of suppliers from different regions, and you can easily compare the price and quality of the frames. The wine glass has always been a popular product imported from China. Some of the customers specially design their own style and then look for factories in China. The demand for wine glass is very high. The price of these glasses is naturally high, especially the crystal wine glass. The wholesale price of Chinese wine glass is $2.2, and it is sold at $13 on us-based Amazon. However, for these kinds of products, you must pay special attention to transportation. The ship charge of the wine glass is calculated by dimensional weight. As its dimensional weight is quite large, shipping the glasses by express or air would result in expensive freight. So, it would be more cost-effective if you just ship the goods by sea. If you are into retail, you should purchase at least 3-5 cubes but if you are a wholesaler, go for purchasing the whole cabinet. It would make the average shipping cost per cup will be more cost-effective. With fitness becoming a popular trend, the sales of fitness products has also increased. Yoga mats, yoga balls, and fitness belts are some of the popular fitness products imported from China. The sports water bottle is also a profitable product to import from China but is usually overlooked by the merchant. There are many types of water bottles including plastic, stainless steel, and silicone. The price of these bottles ranges from $1 to $2. 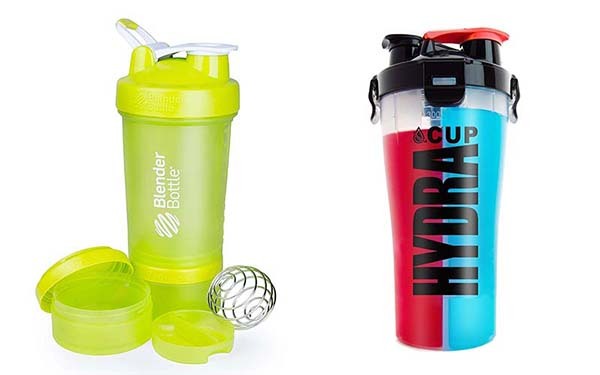 Shaker bottle is one of the most common sports water bottles in the gym that is designed for the fitness crowd that takes protein powder. There is a layer of protein powder at the bottom of the shaker bottle and a coil inside the bottle that helps in dissolving the protein powder quickly. The wholesale price of this bottle in China is $1.5 but is sold for $12 at Amazon. You can also design a sports water cup according to the special needs of different fitness groups. In China, you can easily turn your ideas into real things without paying a high price for it. 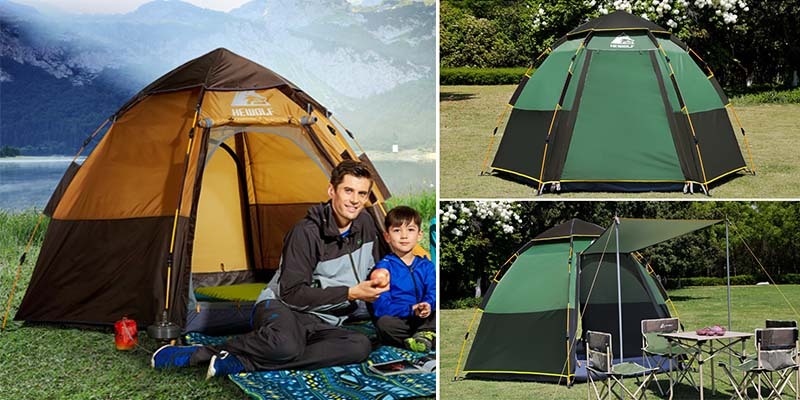 The outdoor product category is also quite popular, and the tents are regular products that have relatively high sales and less competition. If you are a dealer of outdoor products, the automatic tents are a good choice for good profit. Compared to hand-held tents, automatic tents are more preferred for family trips and outings and are more widely used. The wholesale price of ordinary automatic tents in China is around $7.4. It is convenient to use and a necessity for every family. The MOQ required for this product is quite less, around 200 pieces and it supports custom logo. There are many other profitable products in outdoor products category, such as jackets, hiking shoes, hammocks and so on. If you are interested in these products, you can do some research and find the suitable products. Interested in any conventional products above? Or looking for other things from China? Click the button, an professional China sourcing agent will contact you, and get you the best quotation from manufacturers. It’s free service! With the increasing awareness of safety and environmental protection, many countries have restricted the use of plastic straws. But, the straws are indispensable in life, what would be the substitute for plastic straws. Of course, it is a stainless steel straw. These straws are reusable and contain no plasticizers, which make them an ideal choice for homes and restaurants. In the coming years, stainless steel straws would have gained a lot more attention. 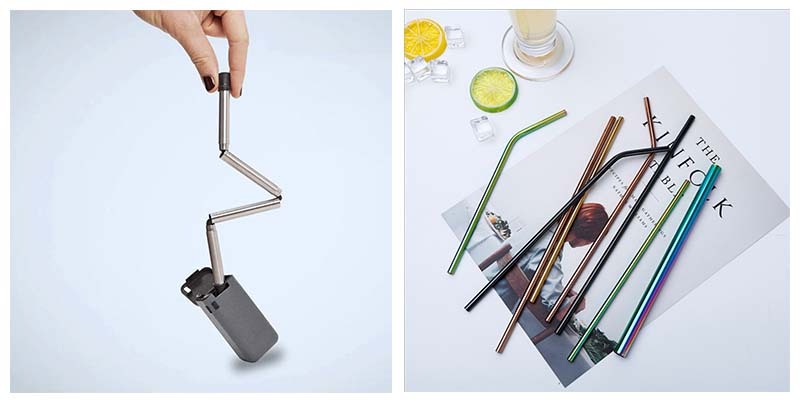 In countries where stainless steel straws are not widely used, this is a good business opportunity. While choosing best products to import from China for your business, you should pay more attention to some practical politics. National policy changes can create a lot of business opportunities. The wholesale price of stainless steel straws in China is around $0.07 per piece. The production area is mainly in Jieyang, Guangdong. It is the largest gathering place for stainless steel in China, and the price is very low. However, different factories have certain quality differences. If you want to sell stainless steel straws, you must choose the better quality straws. As most of the straws are used for children, bad quality straws can easily cause harm to children, which could be very unfavorable for your business and could have a bad impact on your business as well. Silicone travel bottles are quite popular and easy-to-use. These bottles have a huge demand in the market since they are made of silica get, which makes the bottles very soft and allows the manufacturers to come up with a wide range of attractive bottle designs and shapes. Furthermore, unlike hard plastic bottles, silicone bottles are easy to squeeze as well. Therefore, the product stored inside can be easily extracted for use. The price of silicone travel bottles is about $0.25 each, and the price on us-based Amazon is about $4 each. The china suppliers of silicone travel bottles are mainly concentrated in Yiwu and Shenzhen. The bottle suppliers are very easy to find in the four districts of Yiwu wholesale Market, which is convenient for price comparison. While Shenzhen does not have a wholesale market, but trading companies, you can only find suppliers there on websites like Alibaba. A lot of people generally have less time for cooking, so they want everything at their convenience. 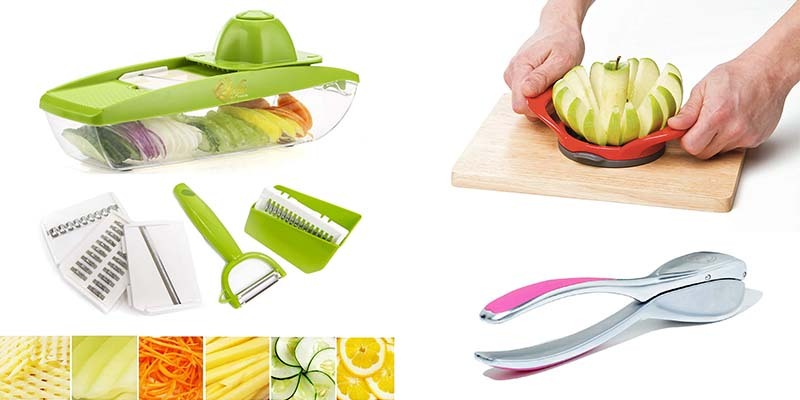 Kitchen gadgets such as a vegetable slicer, garlic press, apple slicer, apple peeler. They are quite popular as they are easy-to-use and cheap. Also, the sales of kitchen item on us-based Amazon are quite large. Although the price on us-based Amazon is low, China’s wholesale price is much less than that. For instance, the price of apple slicer on us-based Amazon is $9, and its wholesale price in China is $0.5. The Chinese items are unexpectedly low in price, so you don’t have to worry about not making a profit while importing from the country. For these items, you can look for supplies directly on Google. If the purchase volume is small, you can go to Aliexpress and Dhgate. But, the price here will be slightly high than Alibaba. And, if the purchase volume is large, go for Alibaba as the price will be lower. Moving straps are used when moving and withstand more than 200 kg of weight that can make moving safe and easy. This product first came in 2016 and there still many countries which have not used these straps. In these countries, this could be a good business opportunity. The price and quality of these straps go hand in hand. The wholesale price of straps in China is about $2.2-$4.4. But, you should purchase moving straps with better quality. If the quality of moving straps is not very good, it will be very dangerous when used. Although the rate will be a little higher, there will still be a large profit margin. 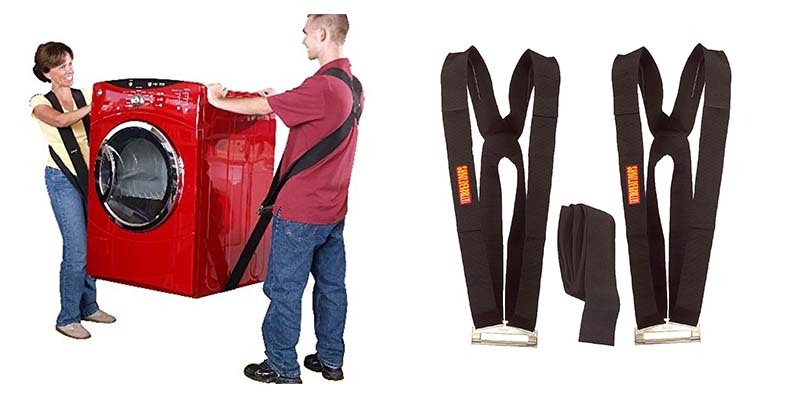 Make sure you pay close attention to the quality when purchasing these moving straps. If you a non-professional, it’ll be a little difficult for you to identify the good quality straps. So, you are more likely to purchase a bad moving strap at a higher price. To rectify this, try finding a professional sourcing agent who can help you find a good supplier, and they could help you sourcing products at the lowest price. Silicone baking tools are also quite popular among families such as silicone baking mat, silicone baking cup, silicone baking mold and so on. 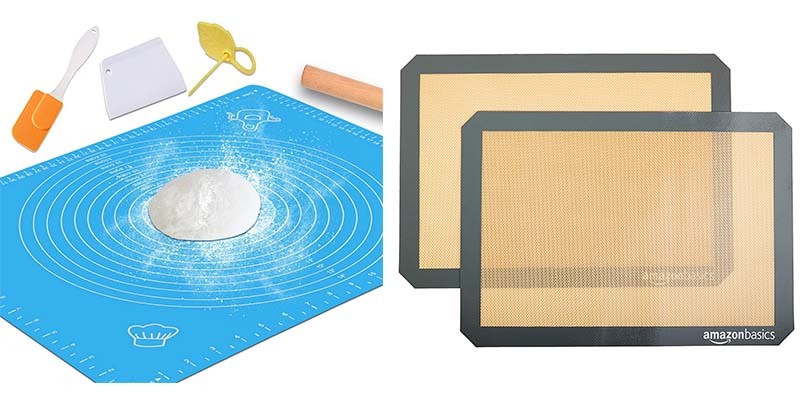 These silicone-based baking tools are resistant to high temperatures. The products are known for the durability, safety, and easy cleaning. It is expected that the products of silicone materials will emerge in endlessly in the coming two years and will have good sales. Among these products, silicone baking pads are the most used and popular products. Its wholesale price in China is around $0.74 – $1.5. Larger the size of the baking mat, the higher will be the price. Also, you must check the size clearly when purchasing. You can even customize the size and style according to your country. The price of each silicone baking tools is not the same. The MOQ required by the manufacturers are not the same, and most of them are above 1000 pcs. In addition, it is important to note that silicone baking tools are directly in contact with food and are required to be tested in some countries. If you plan to sell silicone baking tool in the United States, I suggest that you provide an FDA-related certificate; otherwise you might face some problem while selling your product. Interested in any useful products above? Or looking for other things from China? Click the button, an professional China sourcing agent will contact you, and get you the best quotation from manufacturers. It’s free service! I have to say everyone has this own answer about what is the best product to import from China, based on his work and life experience. But the principle of finding and analyzing some good products is quite similar. Once you understand all these, you will find your answer very soon. If you like this article, you can share it with your friends. If you have any related question, please leave comment. I’m happy to share you all my experience. Do you sell sustainable products (Utensils, bamboo glass, bags , all products made from bamboo? We sell all kinds of products made in China. We can help you find the product you want. Our support will contact you soon. Thanks for your comment. Actually, the question is a little bit wide. There are people making money on every product. If you want to know which products could sell well in Dubai, you should do a research in the local market first. Thank you! We will keep going with your support. Does your company have any form of best selling products for last 3 years? 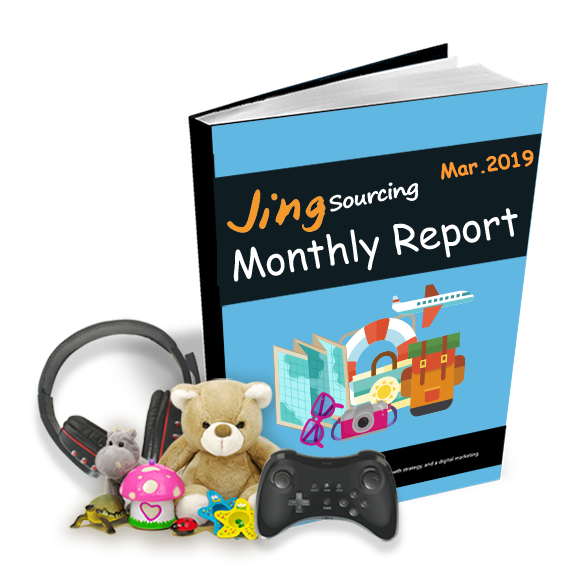 yes, we have monthly report and yearly report to see best selling products as reference. You can subscribe our monthly report on our website then you will know popular products well! Hi What’s the easiest way to ship from China to LA? 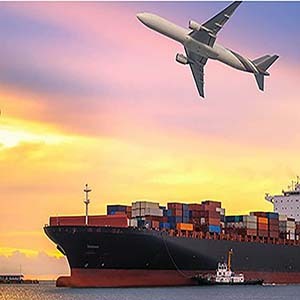 If you have cargo below 300kg, then we suggest to ship by express,300-500kg ship by air freight, over 500kg ship by sea freight.But also need to know what kind of products you want to ship then can make best decision. yes, our specialists will help you out. This is quite helpful, I’ve got a couple of ideas of what to import from China come 2019.